An impressive selection of ethically harvested burl wood. A burl is warty growth or large rounded bump on a tree probably caused by environmental injury. It is believed that some cell growth is hyper-stimulated as a method for the tree to isolate and contain the injury. Most burl wood is covered by bark, even that growing underground. Usually trees that develop burl wood are still generally healthy. Trees with burls on them can go on to live for many years. Burl wood in a vulnerable part of the tree can become so large and heavy that it causes extra stress, and sometimes makes the tree break down. 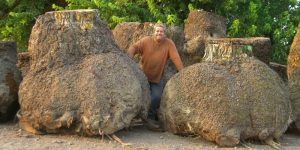 It is important to harvest burl wood only after the tree has died. Burls should not be removed from living trees, because that will leave a large open wound in the tree and will most likely kill it. We sometimes find burls on trees that have to be taken down due to disease, damage or hazard. You can see some of our beautiful walnut burl slabs here. We have a great selection of walnut, redwood and maple burl wood for sale. 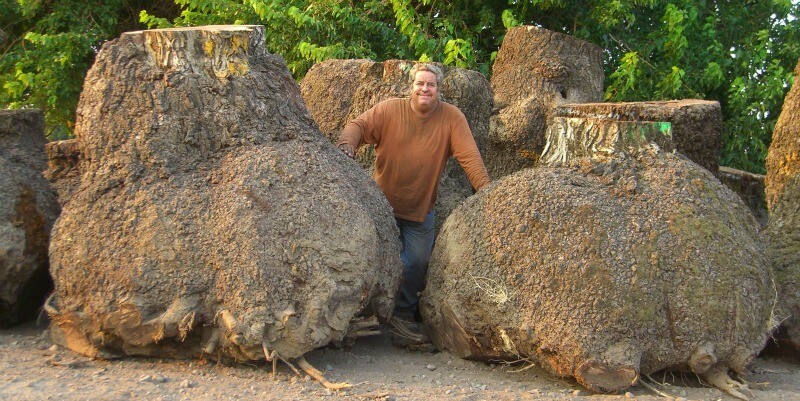 Burls often result in an unusual wood with unpredictable grain patterns. This wood is sought after for its uncommon appearance by artists, furniture makers and sculptors. You can learn more about walnut burl here.